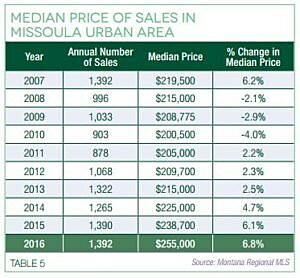 Home prices across Missoula continued climbing in 2016, with the median price of a home hitting an all-time high of $255,000. That marks a 6.8 percent increase over 2015 and a $54,000 jump since 2010. Before a standing-room crowd, the Missoula Organization of Realtors unveiled its annual housing report on Thursday, one that found a growing disparity between the cost of housing and the earnings of an average Missoula household. Wahlberg said prices have continued climbing through the first quarter of 2017 as well, with the median price of a home now sitting at $260,558. More than 240 homes have sold this year compared to 203 at the same time last year. Through 2016, according to the latest report, 1,392 homes sold in the Missoula market. Of those, 470 represented the most sought-after price point of $200,000 to $275,000. That was followed by 300 sales listed from $275,000 to $350,000. Given the tight supply, Wahlberg said, sellers are getting 98.8 percent of their asking price, making it a hot seller’s market. 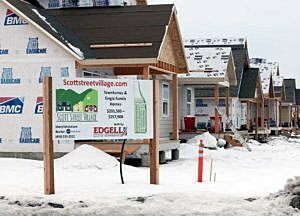 The tight supply could take years to alleviate, even as the number of building permits in Missoula continues to increase. 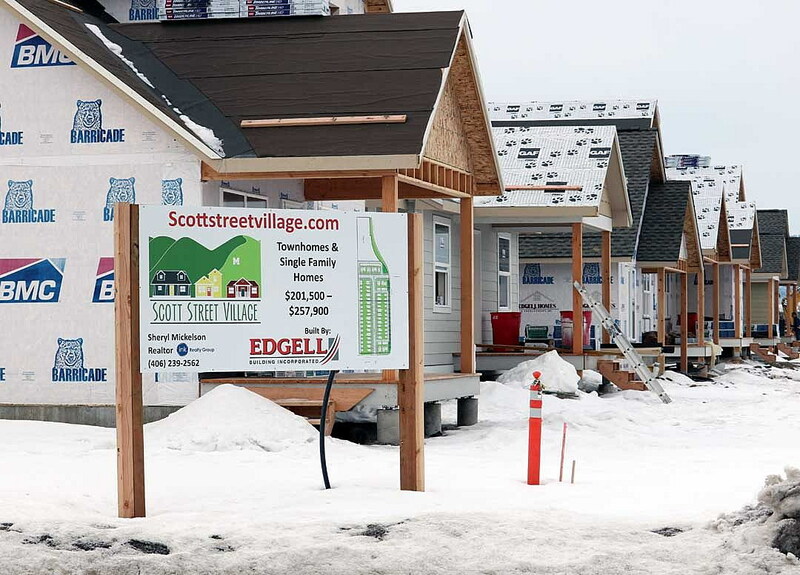 Last year, the number of single-family residential permits issued in Missoula increased more than 26 percent, while multi-family permits jumped 83 percent. While just one new subdivision was permitted in the city and one other in the county in 2016, a number of previously platted lots are now being brought to the market, according Paul Forsting with Territorial Landworks. Yet even so, Wahlberg said national experts believe the market will take years to correct itself. Building subsided during the recession, though the population continued to grow. That has tightened the housing supply and left communities working to catch up to meet demand. Broken down by district, just four neighborhoods saw an increase in home sales in 2016, with the Mullan and Expressway areas topping the list. That was followed by the central neighborhood and the South Hills. As expected, Wahlberg said, it’s these areas that offer homes in the sought-after price point of $200,000 to $275,000. 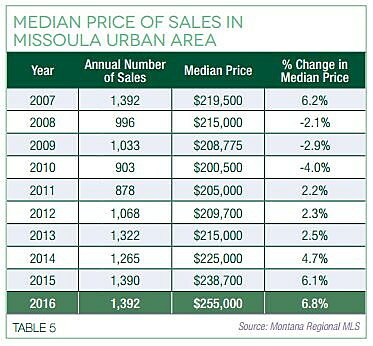 To afford a median-priced home in Missoula, one must have an income of $89,916. Yet the city’s median income currently stands at $43,200.